When keeping fit is the priority, you need swimwear designed for your needs. 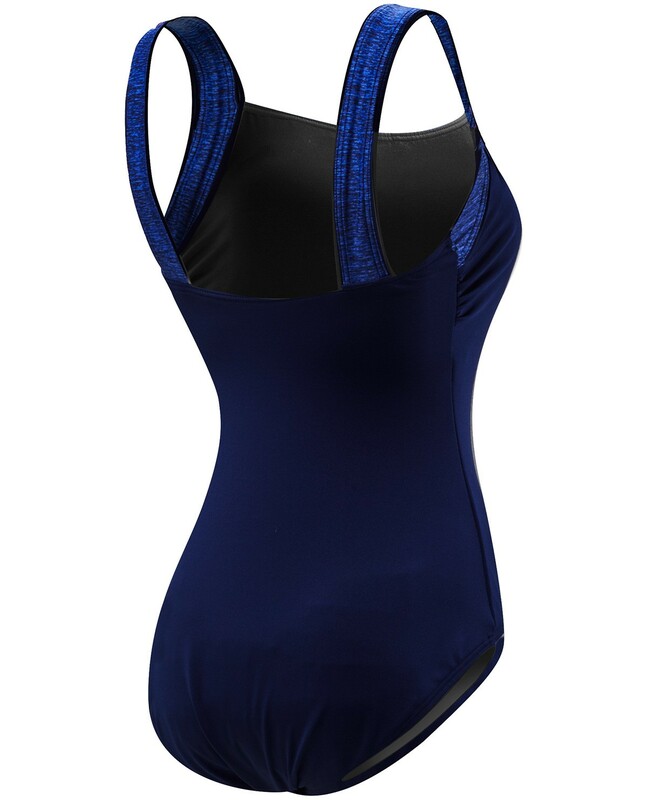 The TYR Women’s Mantra Square Neck Controlfit Swimsuit, an ideal combination of flattering coverage and durability, will help you to more comfortably enjoy every aquatic experience. In addition to featuring UPF 50+ technology for superior sun protection, this fully lined swimsuit includes a classic cut leg, high, square neckline, thick/supportive straps and modest coverage front and back. Equipped with thin, removable contour cups and full body power mesh control to maximize your shape, the TSQD7AC is also created using our most advanced fabric - Durafast Elite. Utilizing high denier poly fiber and innovative circular knit construction, this fitness swimsuit combines the strength and colorfastness of polyester with the comfort of spandex. This suit fits like a glove and holds everything in place. Great support! It's also very flattering and fits true to size. I’ve been buying this suit in different colors for at least 3 years. I attend a water aerobics class 4x a week, so I need a suit that holds up in chlorine and won’t lose it’s shape. I don’t need the extra padding, so I always take out the pads for a better fit. Most suits don’t fit me very well as I have a larger bust and narrow hips, so the hip area is always too big, but this suit works great. Just bought 3 more suits for the coming year!